When you mark up the hole, make sure to cover it in masking tape. 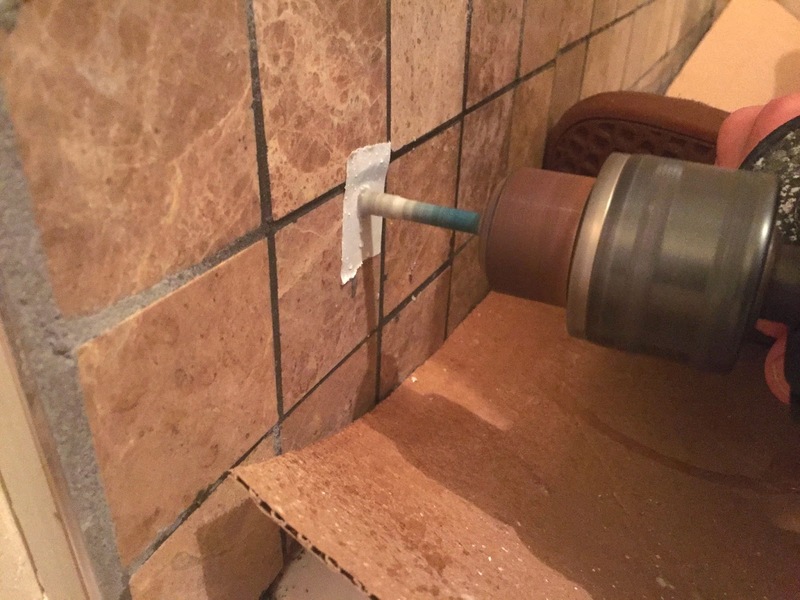 This will stop the drill from slipping against the tile and will make life much more easier. 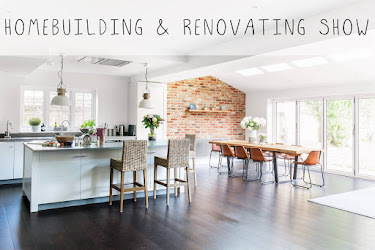 Plus, you won't scuff up the rest of the tile. 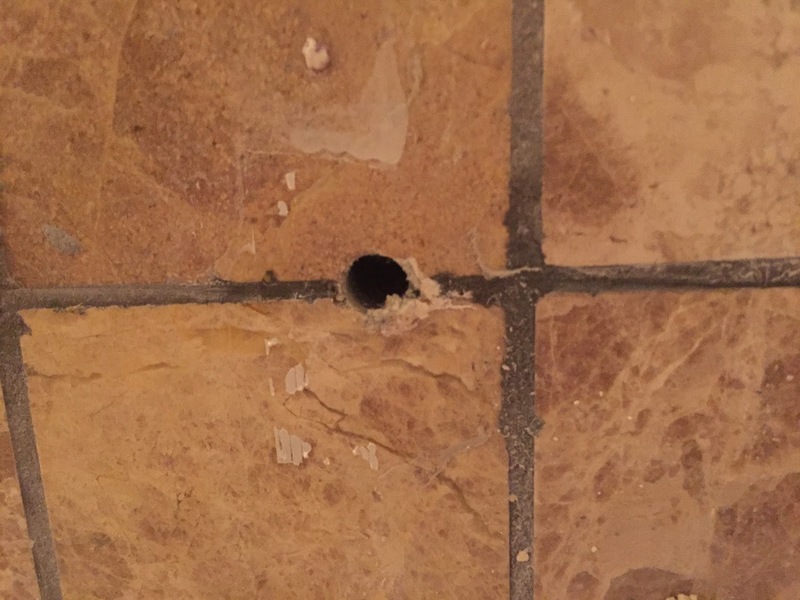 We decided to use a diamond tile drill bit for the job. You can buy these pretty easily offline and some DIY shops, we purchased ours from Screwfix for around £16. They're specifically designed for use on hard stone and come in a range of different sizes. It's best to have a second person on hand for this bit actually. 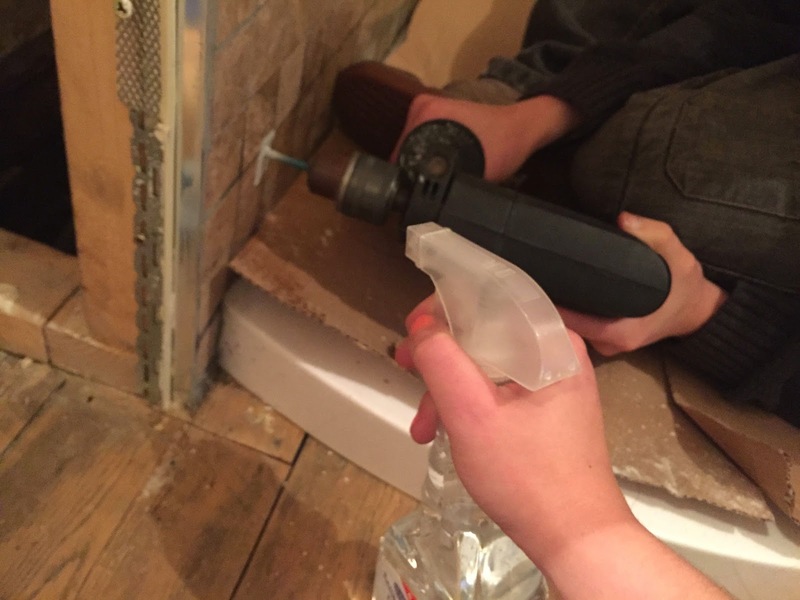 I sprayed water into onto the hole every 30 seconds or so (I couldn't find exactly advice on how often this should be done!). 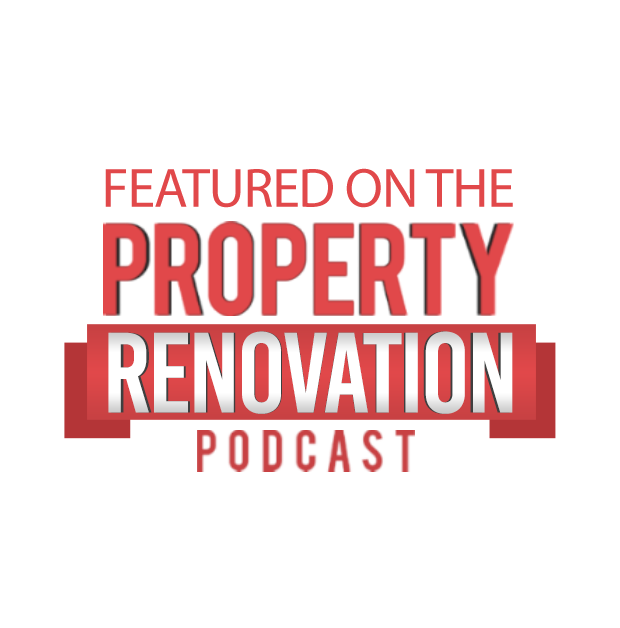 This will stop the drill bit from burning out, however it will create a lot of thick white watery liquid, so make sure to have a towel handy to protect floors. The best way to drill through marble tile is to go at a medium steady speed. It will take quite some time to get through the marble, but don't rush or overly push on the drill as this could cause the tile to crack. You'll get through eventually, it just takes quite a few minutes! 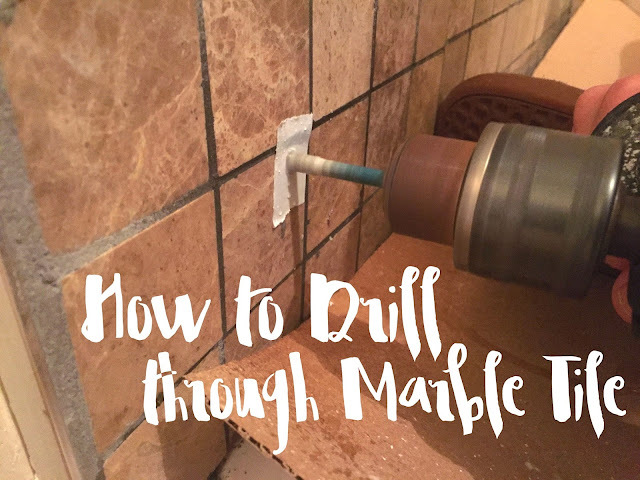 Make sure to change drill bit once you're through the marble before continuing through the wall. Simple as that! We had no cracking and we drilled around 11 holes. It was so much easier than we thought and really didn't require much skill or practising at all. Have you drilled through marble before?